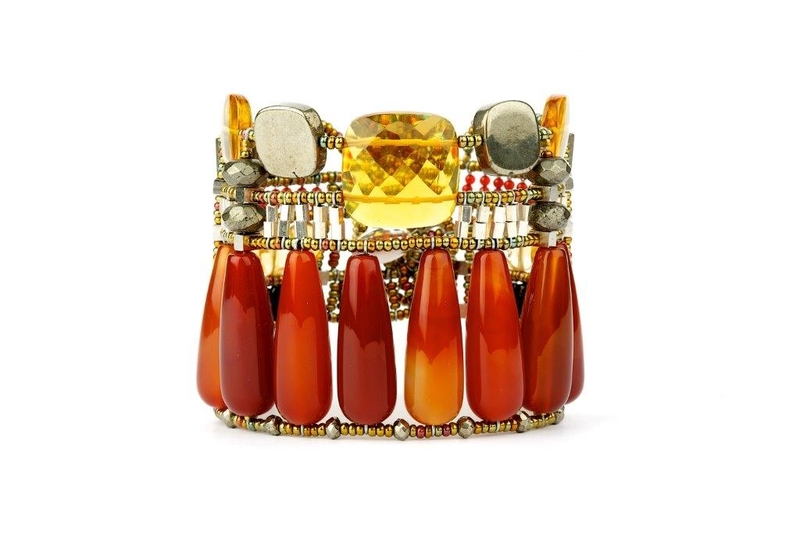 A stunning statement Cuff Bracelet from Ziio. Large cylindrical Red Onyx Gemstones are hi-lighted by Citrine Gemstones & Pyrite Beads. The designers love of ancient architecture was surely the inspiration for this design. Hand crafted in Italy.